The bible is not a history encyclopedia to begin with. It's a collection of books that were canonized in 367 CE. But a collection of books written over the span of several centuries by several authors, divided into two parts. The Old Testament has been shown to be relatively accurate, to a point, often confirmed via archeological finding and other records/sources; and is a chronology(history) of the Jewish people and the New Testament a 'history' of the life of Jesus Christ and recording of his teachings. The Koran is more disputable being the product of a single author over the span of a couple decades at most. The Koran has few accurate historical details and would appear to be the delusions derived via post pederastic orgasmic euphoria, a variation of Tantric "inspiration". In some ways the "origin" of the Koran appears similar to the origin of the Book of Morman. BTW, did you read the full content of the linked article? Last edited by G David Bock; 09 Mar 19, 11:22. Speaking of the Bible, here's a rather interesting development. What was Muhammad's religion before he made up Islam? There are many reasons he went against mainstream even as a child. Thread is not about it so i will not bother you. You can find Muhammads interaction with a syrian priest ( durring prophets childhood) named Bahira who spotted him immidiately . The priest took the whole caravan as guests and analysed him. One of the quastions he asked Muhammad was: why do you think about gods of your people ( idols) and he said that there is not anything he hate more then them. No he isnt, he has his own line through sons among other native tribes who already lived there. Ancient Arabs", tribes that had vanished or been destroyed, such as ʿĀd and Thamud, often mentioned in the Qur'an as examples of God's power to destroy those who did not believe and follow their prophets and messengers. 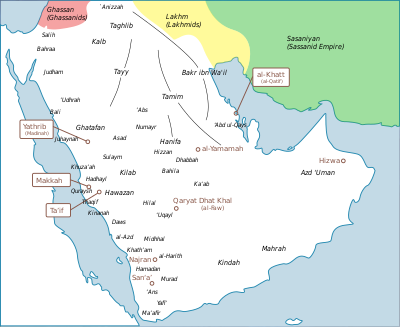 "Pure Arabs" of South Arabia, descending from Qahtan son of Hud.The Qahtanites(Qahtanis) are said to have migrated from the land of Yemen following the destruction of the Ma'rib Dam (sadd Ma'rib).